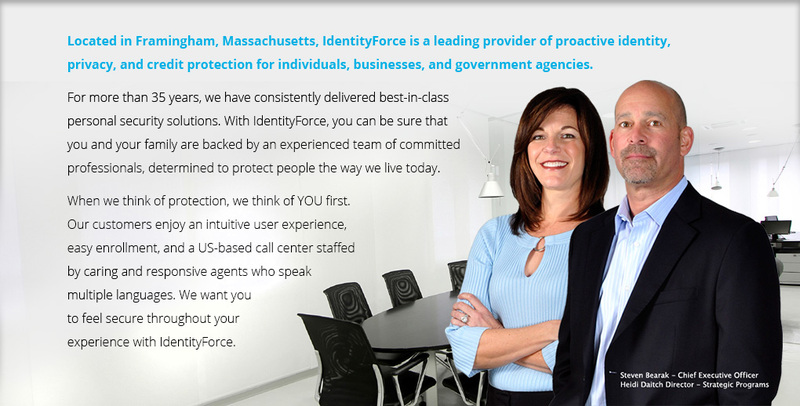 IdentityForce's UltraSecure™ helps protect you from identity theft. We're always on—monitoring your identity, privacy, and personal information and will alert you immediately of any suspicious activity. 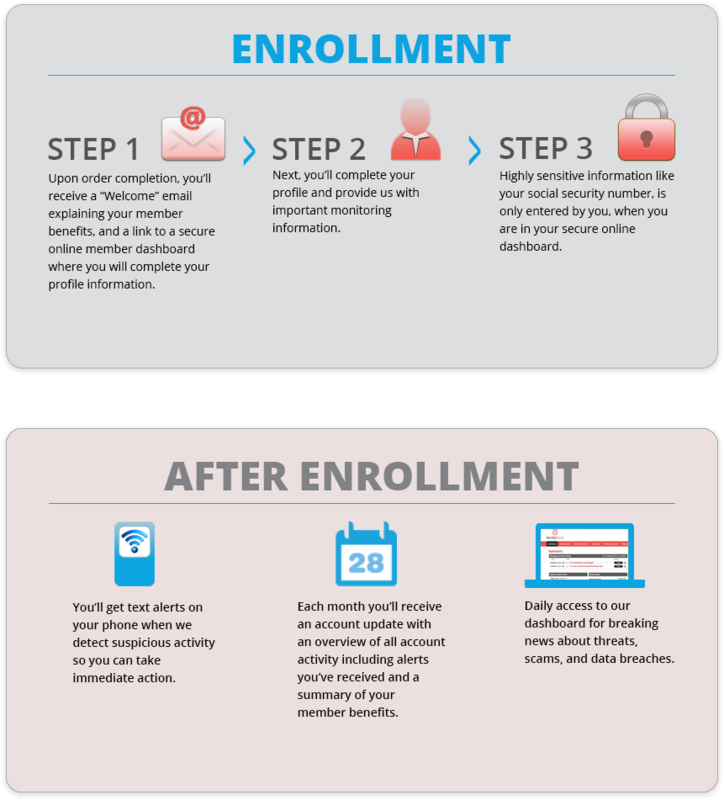 With UltraSecure, if a criminal uses your personal and financial information illegally, you'll know. And, we'll help you restore any damage that is done. Enroll today; it's fast and easy. 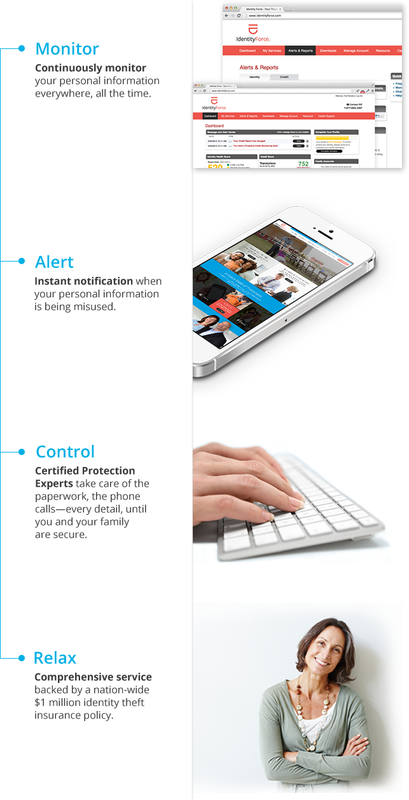 Trusted by millions for over 35 years with a Better Business Bureau A+ rating, IdentityForce protects what matters most, so you can focus on what's important to you. Awarded the Parent Tested Parent Approved Seal of Approval in January 2014. Recognized as "The Seal of Approval Families Trust," PTPA's endorsement is consistent with our mission of providing identity theft protection service that families can trust. Javelin Best in Class for Restoration award. 1 out of every 4 adults have their identity stolen. "I love the email updates! Makes me feel secure knowing there is a company out there safeguarding my assets." "Thanks for the monitoring services you provide. It's a great comfort knowing someone is watching my back!"